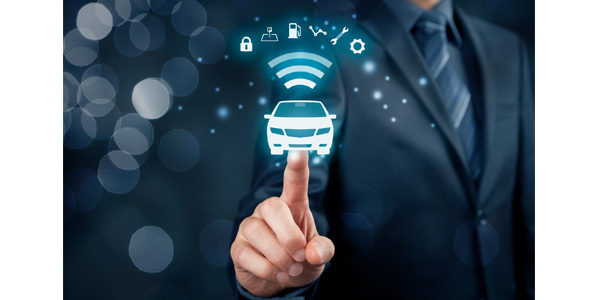 A recent survey of 1,500 U.S. drivers reveals car owners want more sophisticated features in the areas of safety, time savings, maintenance, cost reduction and driving experience from their connected vehicles. Results of the survey can be found in DMI’s new e-book, “From Connected to Autonomous: A Vision of Future Auto Travel.” The survey, which went to drivers of 2014 vehicles or newer representing a dozen brands, asked motorists about the features they currently use in their cars, as well as the features they desire in the future. After an accident, the vehicle can tell the driver whether or not the vehicle is safe to drive. The vehicle can scan itself following an accident to track maintenance issues to be addressed. The vehicle can recommend a more fuel-efficient route for travel. The vehicle automatically can take and store video or security footage to track any accidents or damage done. The driver can review tire status, lifetime value and recommendations on status and replacement of the vehicle. Safety – The top two of the 10 most-desired future features have safety implications. For instance, 79 percent of respondents said they’d like to see vehicles that can complete a full scan after an accident to determine if the vehicle is safe to drive. Time savings – Survey takers said they want features to help save time while driving. For example, 62 percent of respondents expressed a desire for items such as connecting to prepaid parking. Additionally, 60 percent of respondents said they’d like the vehicle to convey alternate travel options, such as walking distance, bus stops or subway routes. 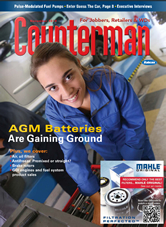 Maintenance – Almost three-quarters of respondents said they’d like to see the vehicle keep them updated on factors such as tire status and lifetime value of the vehicle. They also would prefer recommendations on the replacement status of parts on the vehicle. Cost reduction – Drivers think tomorrow’s vehicles should help them save money on the road. Three out of four drivers report they would like a connected-vehicle feature that recommends a more fuel-efficient driving route. Driving experience – Respondents want tomorrow’s vehicles to deliver more personalized and enriching driving experiences. For example, 61 percent would like their vehicle to send driving suggestions based on based on weather, geography and time-of-day variables. DMI describes itself as an “end-to-end mobility company” with expertise in enterprise-strength web and app development, IoT, digital commerce, analytics, brand and marketing, and secure-device and app management.